Jim is currently Chairman and CEO of Lismore International, his own company that integrates growth strategies with advisory services, and is a partner with SMB Interim Management, an interim C-level executive placement company. Previously, he was senior vice president and executive officer of FMC Corporation for all of FMC’s $2.5 billion businesses outside the United States. His extensive global business experience has taken him to more than 70 countries, including living in Africa and Europe. He is a recognized expert on building and managing results-oriented and turn-around global businesses, and corporate governance. Given his background, he continues to be in demand for Corporate Board positions. 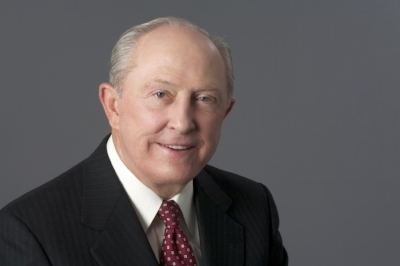 Throughout his career, he has been on seven Corporate Boards and a Trustee on four University Boards. Graduate degrees include those from Wooster College (Ohio), University of Kansas, and Michigan State University. In 2014 he received the Wooster College Distinguished Alumni Award.